The emotional and physical toll of caregiving is bound to make the strongest most experienced caregiver exhausted at the end of the day. If you’re someone who cares for an elderly loved one, I’m sure you know exactly how this feels. But caregiving is more than just a responsibility to an aging parent or a favor to a family member or friend; caregiving is a job, and for some people, it’s almost a full-time job. And with any job, it is necessary to take breaks and, oftentimes, to take a few days off. But taking time off from a loved one can be extremely difficult. 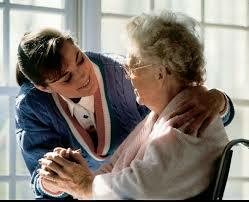 I myself had trouble taking a weekend off from caring for my grandmother when I was her part-time caregiver. For me, I felt an obligation and a personal responsibility to be there for my grandmother, and I didn’t want to give off the impression that I didn’t care about her if I took time off from helping her. Other family members (or you) might feel similar to this, but also might think of the financial burden of having to hire someone to take their place. Though it may be difficult to come to terms with the thought of taking time off, we can’t ignore the benefits of doing so. As Dave Nesbit of Keystone Elder Care Law points out in a recent article, time off (and especially summer vacations) can “provide an opportunity to refuel a caregiver’s supply of energy,” helping them to rejuvenate and better care for their loved one when they return. Of course, everyone’s situation is different and many families don’t have another person to immediately turn to for assistance when the decision to take time-off is made. When this happens, many families turn to home care agencies that provide respite care. If you’re like me, you may feel a little apprehensive about passing your caregiving job to someone else you don’t know. Are they going to do the job well? Are they experienced enough? Can I trust them? Many agencies and providers know that these questions will come up, which is why many of them use a comprehensive home care software or home care system to find the best respite caregiver for your loved one. With a unique client to caregiver matching functionality, a powerful home care software or home care system allows today’s providers to pull a list of potential caregivers who can meet the varying needs of your loved one. Whether you’re looking for a caregiver who is fluent in Russian, has their own car to help run errands, or has experience working with dementia patients, today’s home care software or home care system users can find this information in just a matter of minutes. Rest assured, this modern way of finding caregivers can help you narrow down and quickly select the best person to be the new temporary you while you take your well-deserved break. However interviewing and finding the next best person to take your place may not be enough solace when you’re leaving your loved one in the care of another. How do you know they’re doing their jobs? This is where today’s providers’ resources can help provide you with an additional benefit. If you partner with a provider or agency using ClearCare Online’s modern home care software or home care system, you will probably be offered the option to track your loved one’s care on any device with internet access. You can check-in to make sure that the caregiver is arriving on-time to help your loved one and review important messages that the caregiver may leave for you. Not only that, but you can make sure that the tasks that you wanted the caregiver to complete are being addressed by the end of the day, leaving you with a peace of mind while on your break. Taking a vacation or break from caregiving may not be an option for you. But considering the benefits of taking time off to clear your mind and refresh your emotional well-being, I’d say that this is something to be highly considered. There are many people and providers who can help make that time-off happen for you. It’s never too late to start your search today.